Coyotes have been spotted in St. Petersburg, police said on Wednesday. 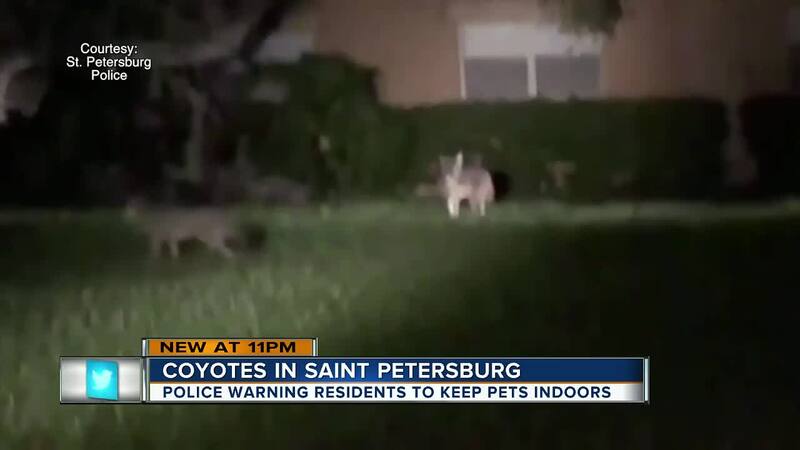 ST. PETERSBURG, Fla. — Coyotes have been spotted in St. Petersburg, police said on Wednesday. 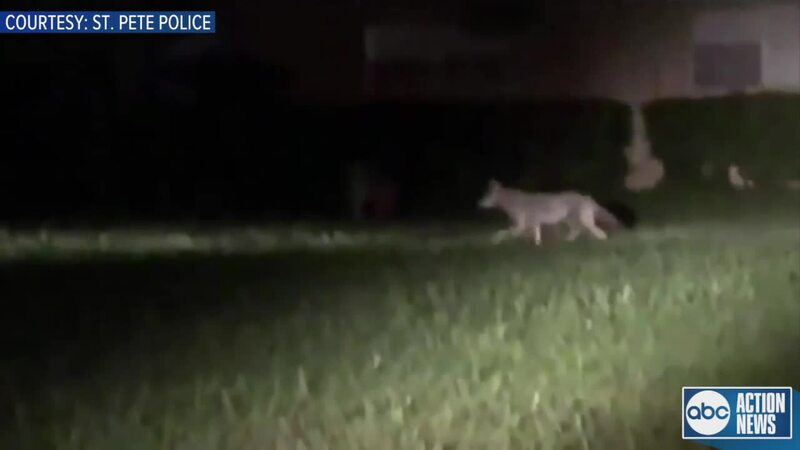 A St. Pete Police officer took videos of the coyotes roaming near 76th Avenue North and 1st Street just after midnight. The officer also reportedly found a younger coyote in the area of 94th Avenue North and Dr. Martin Luther King Jr. Street, as well as two older coyotes, spotted near 62nd Avenue North and 1st Street. "These aren't large dogs, they're coyotes in the city!" St. Pete Police warned in a Facebook post. Police are urging residents to keep pets indoors in the evening and ask residents not to leave pet food outdoors. Recently, several cats have been found dead or dismember in St. Pete. A few pet owners believe that someone was mutilating the animals, however, police have stated that they had reason to believe coyotes were to blame.